As the Mobile Industry prepares to gather in Barcelona for the annual Mobile World Congress it’s once again my mission to seek out the mHealth talks on the program and the exhibitors that are scattered high and low around the 9 sprawling exhibition halls (click here to read my mHealth guide from 2012 and mHealth reviews from the 2008, 2009, 2010 and 2011 events). This year there are some interesting new exhibitors (notably Facebook) but there’s also many that have seemingly walked away or just not yet confirmed one of the many empty booths (possibly Google/Android, Microsoft, Blackberry, etc) and other major firms who continue to ignore the event (notably Apple). 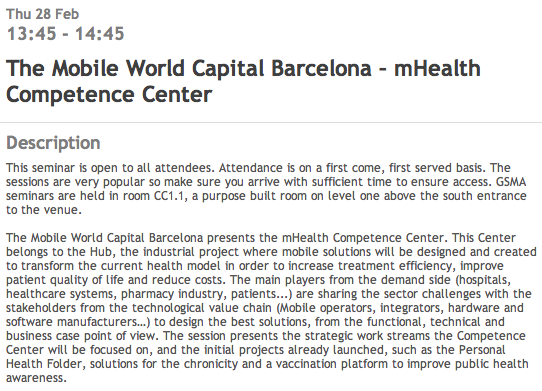 Here’s a summary of the mHealth things I’ll be trying to learn more about on my fleeting visit to Barcelona. If you know of any others please share them in the comments and I’ll update the list etc. Sadly with less than a month till the annual event takes place the speaker lists and content of the sessions still aren’t anywhere near complete. I think this is disappointing as it will once again have an impact on awareness and attendance levels. On a positive note they’ve opened up the mHealth sessions to all delegates at the conference (previously you had to have one of the conference passes to get access). 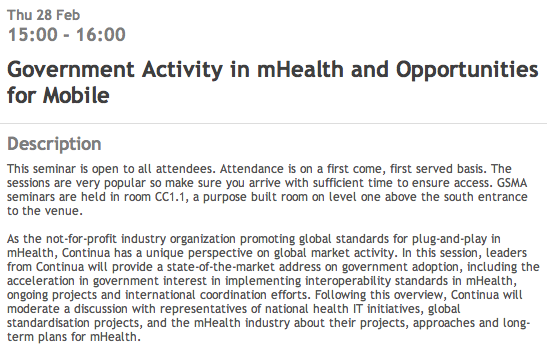 At the time I noted that this seemed to fly in the face of the emerging market mHealth focus that was held by the GSMA but now that they’ve dropped this (along with their Cape Town mHealth Conference and seemingly their close collaboration with the UN Foundations’ mHealth Alliance) it does seem at odds to now make the event free (perhaps they’re just keen to try and expand the audiences or attract sponsors?). Note: seats are being offered on a first come first served basis and there is no way for even a conference ticket holder to be guaranteed access. Presenters: To be confirmed but we can expect representatives of Smart Communications, the UN and Telefonica Group. Description: The GSMA Disaster Response Programme will bring together senior members of the mobile industry and experts from the humanitarian and technology sectors to discuss the growing recognition of mobile communications as a basic humanitarian need, and the role that the mobile industry should play in this rapidly evolving space. Drawing from recent disasters in the Philippines, the United States, Latin America and the Horn of Africa, panellists will highlight challenges, opportunities and priorities for improved collaboration, service delivery and partnership. Presenters: David Wood, Technology planning lead at Accenture Mobility (Moderator), Ms Kirsten Gagnaire, Director at MAMA, Ms Pamela Goldberg, CEO at Massachusetts Technology Collaborative, Oscar Gomez, Director of eHealth Product Marketing at Telefonica Digital and Chris Mulley, Business Consultant ZTE. Description: How can mobile reach its potential to improve both the outcomes and the economics of global health? One way os through cross-industry partnerships that will allow mHealth solutions a scale that would be out of reach to the mobile and health industries in isolation. There are hundreds of live and pilot mHealth deployments currently underway across many and diverse territories, but many of these projects, both commercial and pilot, will remain short term or small scale and will fold once initial funding is exhausted. To reach scale, mHealth systems must in many cases be designed to integrate with existing health systems. This is not something the mobile industry can achieve alone, despite operator’s expertise and experience in delivering end-to-end services to their customers, and will require strong working partnerships between mobile network operators, health applications and health IT providers. Speakers in this session will showcase examples of mHealth projects that have gone beyond the small scale and pilot stages. They will seek to identify best practice in making mHealth sustainable, and will discuss the progress and challenges in partnering for mHealth. Presenters: Mr Dan Shey, Analyst at ABI Research (Moderator), Mr Ben Chodor, CEO of Happtique, Mr Benjamin Sarda, Marketing Director, Orange Health, Mr Marcus Sigurdsson, Lead Digital Catalyst at McCann Health, Mr Arjen Swank, Business Development at Text To Change, Mr Rick Valencia, VP & General Manager of Qualcomm Life. Description: Bringing together the traditionally fast-moving mobile industry and the traditionally slow-moving health field was always going to provide a fertile ground for innovation. The frontier between mobile and health is peppered with opportunities to make a massive difference to the lives of many people very quickly. But innovating for health is not necessarily an easy way to make a living. The diversity of the mobile and health industries means that, whilst there are many opportunities, there are also many challenges. Regulation, privacy concerns, questions surrounding funding and revenue models – both industries still have much to address to capitalise on the exciting new ideas emerging from the intersection of mobile and health. Speakers in this session will take a look at what’s new and what’s coming through in mobile health. Innovators will showcase the future of health, from new uses for standard mobile tech to new devices with the potential to revolutionise the field, and will ask what makes an enabling environment for mobile health innovation. Description: There is growing recognition that non-communicable diseases (NCDs) dominate health care needs and expenditure in all developed and most low and middle-income countries. NDCs (heart diseases, strokes, cancers, diabetes, and chronic lung disease) cause an estimated 36 million deaths every year, including 9 million people dying prematurely before the age of 60. These diseases are largely preventable if effective steps are taken to reduce four common lifestyle risk factors, namely: tobacco use, unhealthy diet, physical activity and excessive alcohol consumption. The panel, which will consist of governments, international organizations, public and private sector experts will discuss the following: How mobile solutions can be used for NCD prevention, treatment and enforcement of policies with case studies: how mHealth for NCDs can harness the best technology and expertise available in the world and make it available to all countries to fight NCDs; how successful pilots can be taken to the world stage through a global UN, private sector and government partnership. Speakers: Bastian Hauck, Adventure Diabetes, Liuska Sanna, European Patient Forum, Dr Stuart Bootle, GP & Healthcare Consultant, Josep Comin-Colet MD at Hospital Del Mar. Description: Chronic disease, such as diabetes, is currently the leading cause of mortality in the world and accounts for 63% of all deaths worldwide. The prevention and management of chronic disease is a global health priority as highlighted by the WHO’s “Action Plan on Prevention and Control of Non-Communicable Diseases 2008-2013. According to a recent GSMA global research, 89% of healthcare practitioners and 75% of patients with chronic conditions see a benefit to mHealth solutions. This panel will consist of patients, physicians, industry analysts and mobile network operators, and will discuss the following questions from the perspective of what patients want and need: What are patients’ greatest challenges overall? What would motivate patients to stay engages with their healthcare? 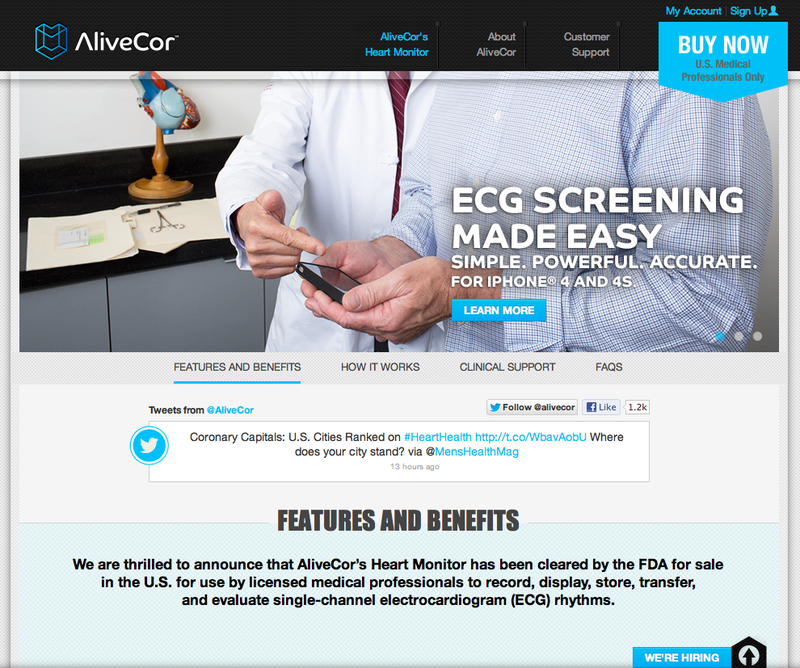 What would make patients’ lives easier? What would be the key success factors for mHealth solutions? What characteristics would the solutions have to have? 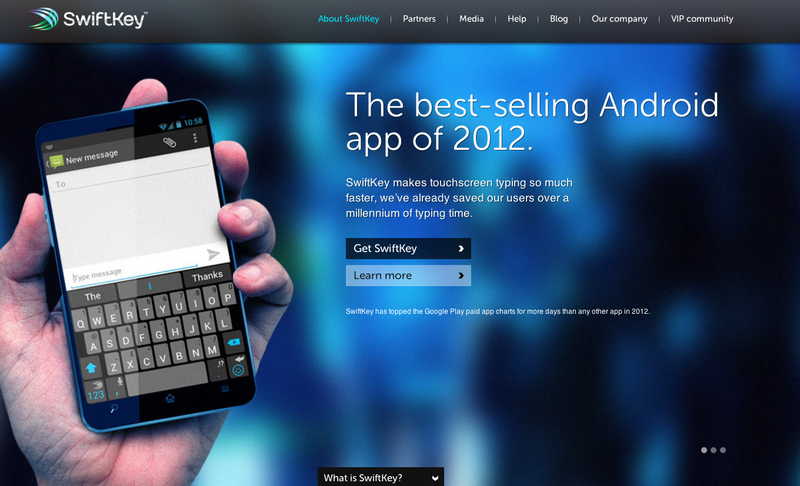 It amazes me how difficult the design of the agenda website makes finding what’s going on. Between the odd way the daily schedules continue to scroll for 27+ hours (only in Barcelona for MWC are the days longer than 24 hours!! ), the weird longitudinal display of text, and the lack of search functionality the entire program seems to be intentionally designed to make it difficult to find what you’re looking for. > Since when did M2M start to be also known as “connected living services”? Is this some new definition the GSMA is trying to introduce? > Since when did it become okay to refer to patients as “end users”? It amazes me that even those involved with the mHealth initiative at the GSMA seem to think it’s okay to refer to patients as “end users”. If you’re not sure about the inappropriateness of this term please consider that an ‘end-user’ is a person who uses a product whereas in healthcare except for animals (in veterinary applications) or incapacitated patients (being treated in high dependency units etc) it’s very rare for patients not to be greatly involved in the delivery of healthcare. > Why don’t they get a Doctor to write the descriptions for the mHealth sessions? Instead of adding credibility to broad brush statements like “Chronic disease, such as diabetes, is currently the leading cause of mortality in the world” I think it’s time we moved into sharing evidence of where mobile can and is adding value eg. the outcomes that mHealth is having on reducing chronic disease levels or helping us manage the chronic disease burden. FYI it’s more likely that “aging” is the leading cause of mortality in the world (if we’re lucky to live long enough we will all encounter multiple chronic diseases as a result of the process of aging). 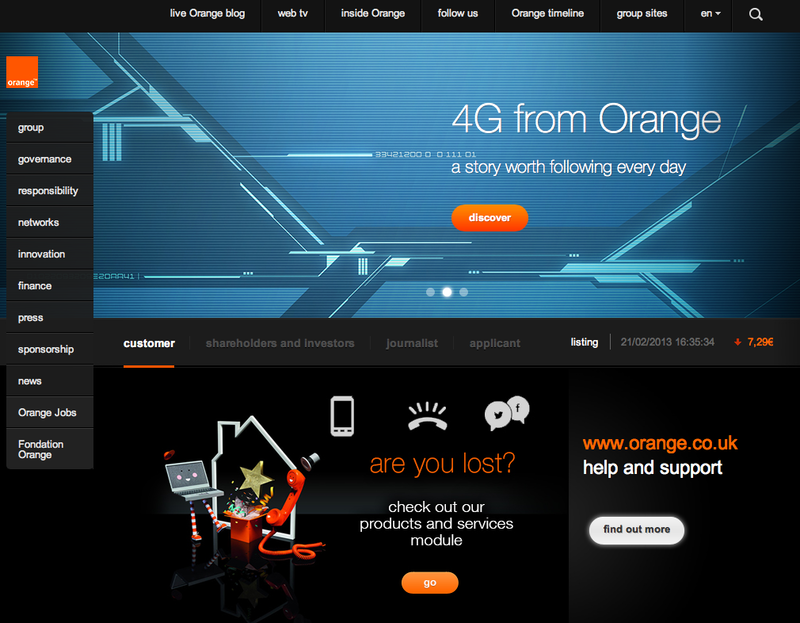 > Why isn’t the GSMA more honest about the operator’s role? As Apple generated more than $2B in revenues in the 3 months of 2012 from it’s app store and this years Mobile World Congress will be used to announce further outsourcing of core network technology and services to brands like IBM, Nokia Siemens, Huawei and Ericsson isn’t it about time telcos talked more honestly about the changing role of their members in the mHealth ecosystem? Although the Mobile World Congress has a very high rebooking rate for exhibitors this is not something that’s shared with the mHealth brands that venture out to Barcelona. On the 2013 mHealth Pavilion not one of the 11 confirmed firms exhibiting have previously exhibited on the pavilion – which could indicate that the commercial opportunity for mHealth firms finding a return on investment from a booth at the MWC mHealth Pavilion might still be some years off. 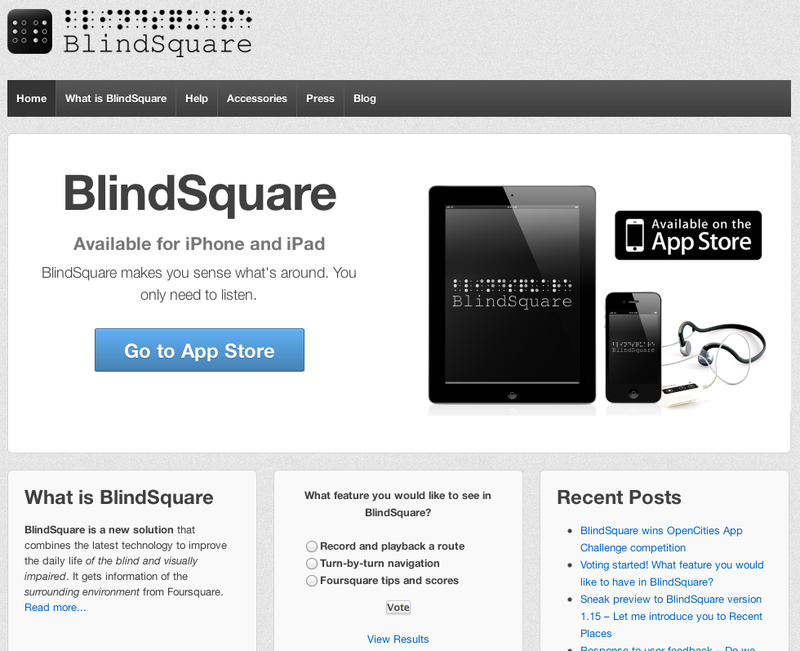 Developer of products designed to eliminate mobile technology accessibility barriers for the blind and visually impaired. Dedicated to the design and manufacture of cooling solutions for IT applications. PRC brand committed to the R&D, manufacturing and sales of telecoms products. Mobile Health Services and Solutions, design and development company that has developed a ‘smartphone-lined portable body fat analyser’ that ‘interlinks the 4 point touch 4 point electrode body fat analyzer for upper body’. 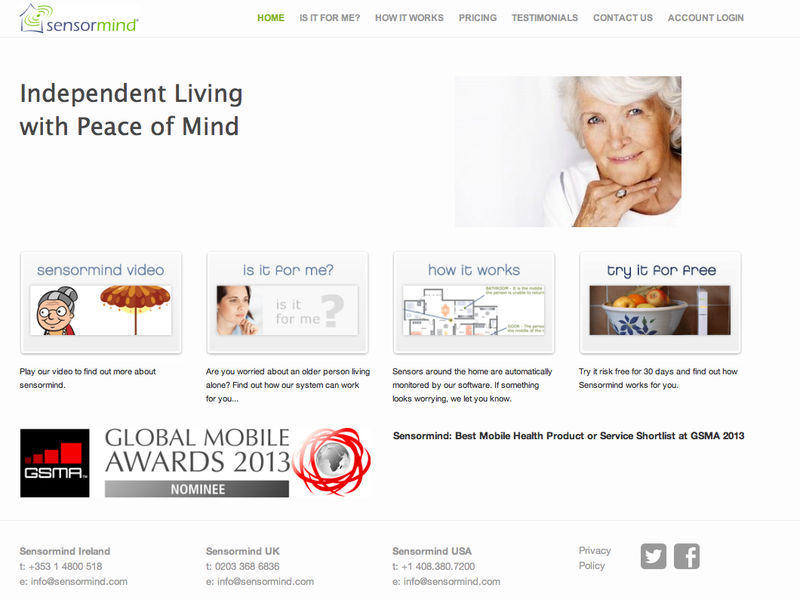 Develops, markets and sells products, software, TeleCare and mHealth solutions specially adapted to the growing worldwide population of seniors. 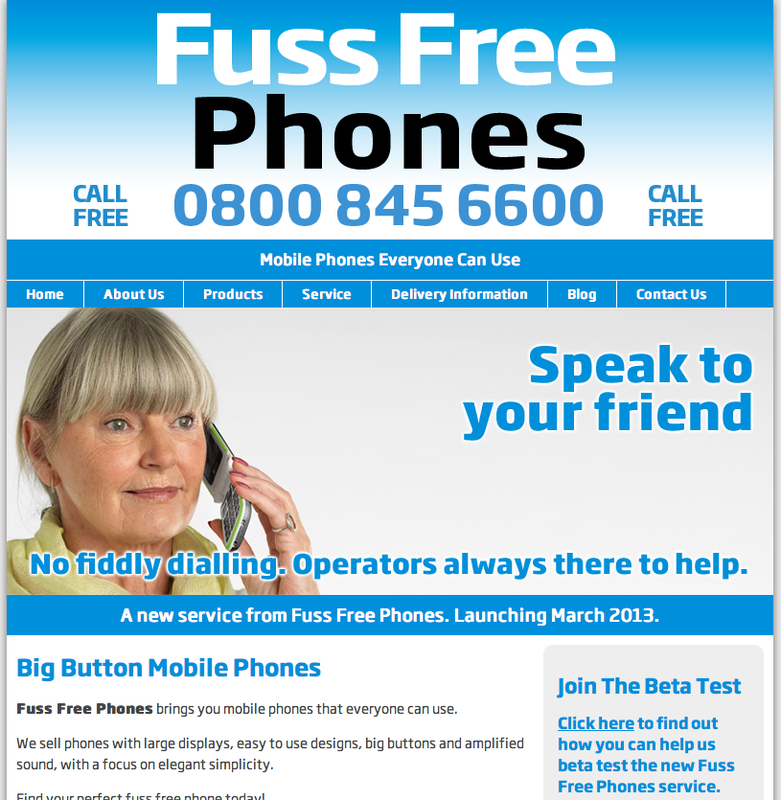 FussFreePhones is launching a new service that needs little further explanation. Fuss Free Phones brings you Big Button Mobile Phones that everyone can use. Phones supported have large displays, easy to use designs, big buttons and amplified sound, with a focus on elegant simplicity. Simon Rockman, founder of this exciting company will be attending the event as a delegate. Gemalto is the world leader in digital security with 2011 annual revenues of €2B and more than 10,000 employees. 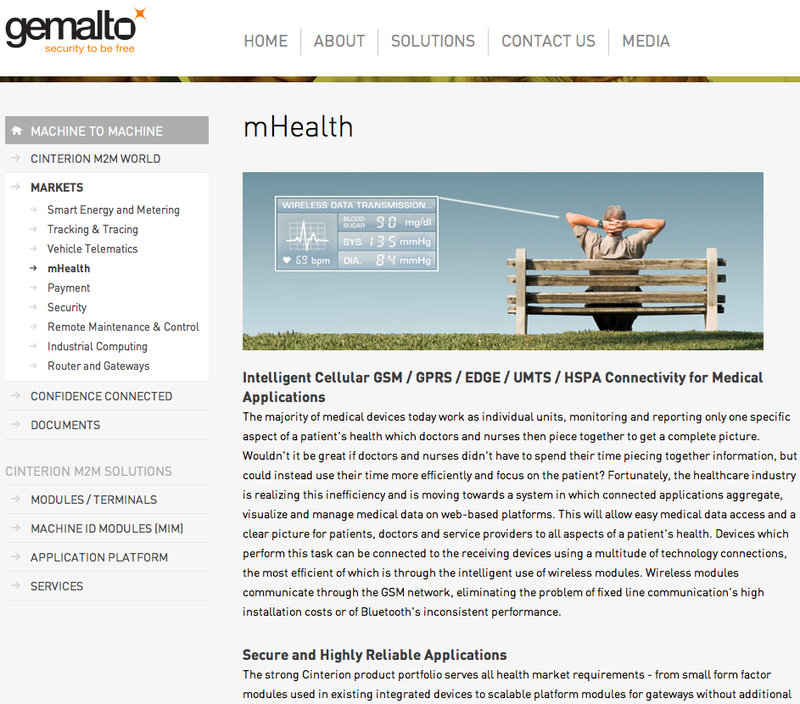 In 2010 Gemalto acquired Cinterion Wireless Modules GmbH who were the leading M2M embedded mobile manufacturer with major mHealth deployments with clients like Biotronik (Pacemaker & ICD Monitoring). Edgewise is a chronic disease management and prevention application that helps GPs save time by analysing and organising patients PHR prior to consultations. GCF’s “test once, use anywhere” certification program promotes global interoperability of all mobile devices. Development, production and distribution of healthcare, wellness and fitness products and services. SleepRate is a mobile and web based sleep therapy provider. Customers buy a SleepRate plan and are mailed a heart rate monitoring belt which is used to analyse the sleeping patterns before an expert consultation is provided with personalised recommendations and advice. Provider of MotionTrackingTM solutions for consumer electronic devices (think pedometers/activity monitors in your smartphone). iGlobalTracking produces iMEDI24 a white label platform that is used for emergency tracking services. Imec is a nanoelectronics research centre focused on low power radios and is focused on the opportunity for these to power wireless sensors in body area networks. Meditec produce a bluetooth connected calling pendant for use by citizens who need to be able to raise a location aware alert. In addition to lone worker and safety applications this has a wide appeal amongst healthcare providers who are looking to support patients living independently. 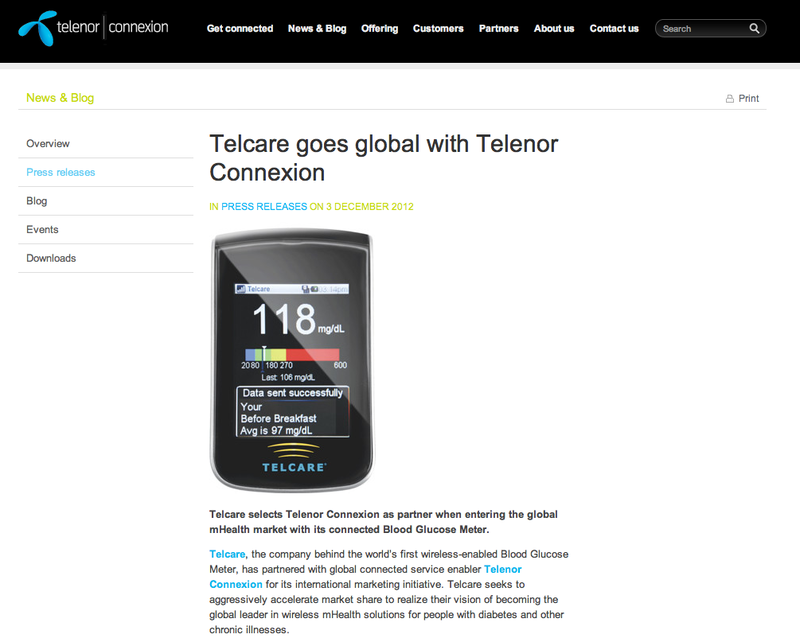 Lavandoo provides a secure M2M solution for mHealth and telemedicine. Lifewatch is monitoring more than 300,000 patients a year and is offering solutions designed for an expanding population with chronic disease management and medical supervision/monitoring needs. Linkcare is an integrated Care platform that enables patients and healthcare professionals to share information using smartphones, tablets or web portal. MASS Factory designs and provides universally accessible services that support the urban mobility needs of impaired and elder citizens. Their OnTheBus app provides turn by turn guidance for citizens who are walking and using public transportation services. Maxcom produce GSM mobile phones that feature large keys and SOS buttons and support telehealth services. Mobileeco is committed to the development of 3G & LTE M2M Data Modules and fixed WiFi Routers based on Qualcomm Chipsets eg. Devices similar to the 2Net Hub that Qualcomm Life are bringing to market in the USA. Mobilitas is launching a new product at MWC for the mHealth market and is a company rooted in the belief that a ‘Mobile First’ strategy and design focus are key to disruptive innovation and pleasant Healthcare experiences. Omnitel produces “Smart Health” a service that combines biosignals to measure health status. Through it’s healthcare services subsidary Almerys Orange has partnered with Morpho (a part of the Safran Group) to launch a “mobile identity management system with SIM-enabled electronic health card” that has recently been piloted in the Clermont Ferrand University Hospital Center. The system requires patients to register their SIM card and download an app onto their mobile device. Once this is done a Doctor can access patient files via a secure web site by entering their phone number and unique ID. Preventice is a developer of mHealth apps and remote monitoring systems focused on engaging patients with their care plans and closing the patient engagement gap – the high cost created by patients failing to follow individual care plans. Current apps are focused on medication management, cardiac care, sleep apnea, diabetes management and migraine headaches. Qualcomm Life and partners will feature on the Qualcomm Booth at MWC for the first time. For years Qualcomm has had one of the most presitigious $M+ booths at Mobile World Congress so after the massive show of force with their 2Net platform at the recent mHealth Summit and the Consumer Electronics Show this is a “not to be missed” booth if you’ll be in Barcelona. > A “Wireless Walking Challenge” together with the American Heart Association. This will involve delegates downloading one of a range of step tracking apps or using a motion monitoring device that is integrated with the 2Net Connect APIs in a search for the Mobile World Congress “Walk Star”. Participants’ steps will be tracked via a web-based leaderboard and the 3 attendees per day will be awarded $200, $100 and $50 with the overall close of the conference winner getting a Dell XPS Tablet. Twitter hastag is #WalkStar. Runtastic is a mobile fitness company that develops apps, hardware products and services and aims to be the total fitness package for users worldwide. Sierra Wireless offer mobile computing and M2M products and solutions to connect people, devices and applications over cellular networks. Korea’s largest telcom company with more than 26M subscribers and more than 50% of the market. As the world’s leading LTE service provider the company is developing innovative business models in healthcare. Swissmed Mobile offers a complete, integrated mobile patient monitoring platform. Nestwork is focused on personal mobile safety innovation, specialised in the design and manufacturing of emergency response and location aware devices. Unkasoft develops mHealth apps that let companies incorporate their branding into video games that customers download to their mobile devices. Vidavo offers a range of mHealth services including Chronic Disease Monitoring, Tele-Psychiatry, Tracking, Healthy Aging & Independent living solutions. MedSignals develops and markets a health management system and device suite that helps patients with chronic disease to live longer more independent lives. Developer of the 3in1 SMART app mHealth solution designed to help diabetics with an Android or Apple Smartphone. We Are Engineering is a group of software engineers who build original mHealth apps. Withings create smart products and apps to make it easier for people to take care of their health and well being. In 2009 Withings launched their WiFi Body Scale and the companies devices now works seamlessly with over 60 partner apps and devices. The GSMA bills Mobile World Congress as ‘the largest mobile industry exhibition of its kind, you will see anything and everything related to mobile’ and in several instances around the miles of exhibition halls you will be able to find offerings from companies that don’t fit with the organisations objectives (the GSMA sets out to represent the interests of mobile operators worldwide). To highlight the point check out Vital Energy from Austria who are exhibiting their WAVEEX product in the App Planet with claims that it offers an “unique health-chip that makes mobile phoning biocompatible”. Apparently it achieves this because it “harmonises the magnetic fields issued by the handsets and so our body get a ‘vital shower’ instead”. The shortlist for this years GSMA’s Global Mobile Award finalists are still to be posted which is rather odd when you consider there’s less than a month left and the deadline for entries closed on the 30th November 2012. Click here to read more about my thoughts on an United Arab Emirate owned operator being involved in sending pictures of unborn children to Facebook. As the person who has founded, attended and presented at the most mHealth events all over the world (click here for listings I’ve compiled of these from 2010, 2011, 2012 and 2013) a frequent question I’m asked is where I think mHealth communities will in the long term find a home eg. will they be stand alone, a part of giant consumer electronics shows, mobile industry events or scientific/healthcare meetings. > A simple decision taken by an individual (like Vittorio Colao – the CEO of Vodafone Group) could mean tens of millions of citizens would have embedded videos like this, a health info A-Z/directory and a tool to help patients communicate with their Doctors on their mobile phones in little more than a few months. > We’ve already seen how the decision by one of the world’s leading healthcare brands to take a mobile first strategy has led to the fastest ever adoption of an electronic patient experience. But right now I’m of the feeling that there is enough evidence of successful mHealth that we no longer need to look to mobile operators for the next phase of mHealth innovation but the mobile operators need to look to do things to get mHealth adopted because mHealth now underpins enterprise adoption of mobile in the industry vertical that consumes as much as 17.6% of GDP, mHealth is the deciding factor in what mobile hardware is purchased by Healthcare providers, mHealth is key to opening up healthcare commerce opportunities and mHealth is the key to opening up senior mobile audiences to mobile. As we get serious about creating better health outcomes and providing evidence to support further investment in mHealth by Healthcare payers it’s key that we stop talking about what could be done with technology and start championing the patient and provider success stories. 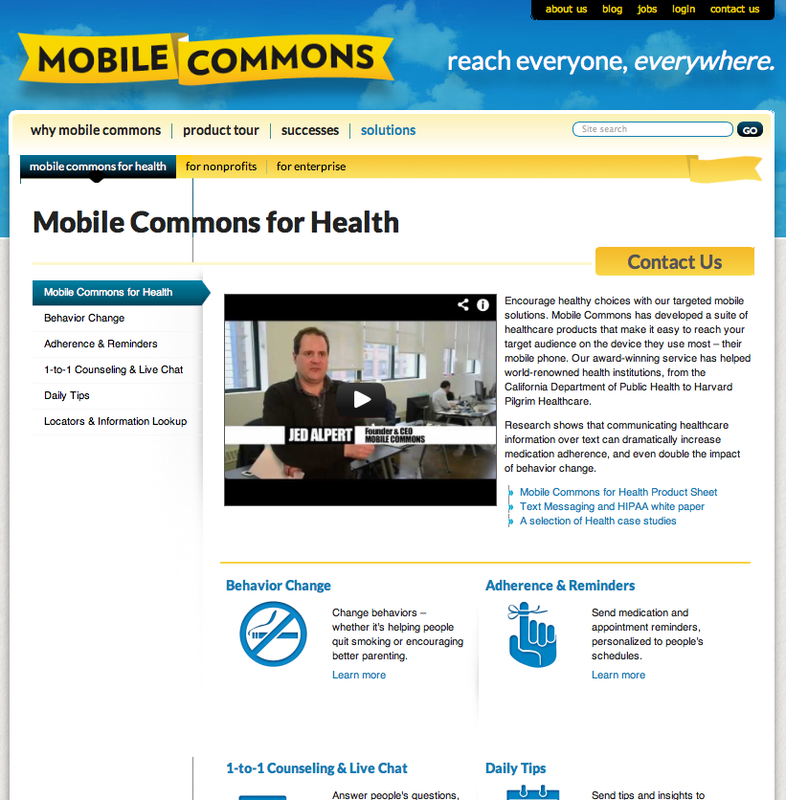 > Some mHealth services may not easily sit with operator interests. Just as the over the top (OTT) approach that Apple has taken with regard to customer billing and messaging relationships have proven to be unpopular (and unprofitable) from a telco perspective it’s likely that many healthcare providers will also want to take a similar approach (to ensure patient privacy, secure their direct relationship, etc) and it’s unlikely that this will immediately appear to fit well with mobile operator interests of making money for their shareholders/government owners. I think the incapacity of the GSMA to tackle these OTT changes can be seen in the way they title the App Pavilion as the ‘Centre of the Apps Universe’ despite the fact that Apple – the most profitable brand in mobile and owner of the world’s most profitable app store – won’t even be there. Similarly you’ll have to look long and hard to find truly independent or controversial speakers in the Mobile World Congress conference line up eg. unless you’re a sponsor if your message is in anyway controversial or not spot on with what operators want to hear don’t expect to hear it at MWC. 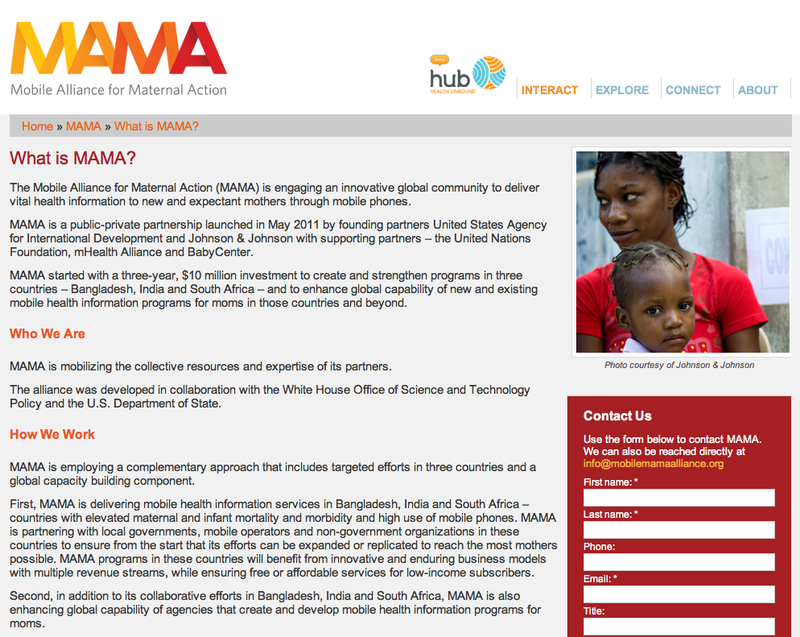 The Vital Energy company paying a few $thousand to get a profile on the GSMA website and at their annual event works directly against the scientific approach that the GSMA organisation has been trying to build and communicate for years at huge expense. If something similar were to happen in a major healthcare community I think it’s obvious that the organiser would lose their reputation very quickly and there would be wide media coverage because the focus of many in the healthcare industry is on health outcomes and mHealth has a much higher gearing because it’s mostly going to be about patient empowerment. To give you the idea of what I’m referring to here imagine a company being allowed to exhibit/sponsor at the World Conference on Lung Cancer with claims about a crystal cigarette filter that it claimed could prevent smokers from lung cancer. As the mHealth community grows and seeks to reach out to partners in the mobile and healthcare sectors in my opinion it’s highly unlikely that a Mobile Operator community like the GSMA (that has its member interests as the over aching objective) will be able to compete with the appeal of cause based healthcare communities like HIMSS (the owner of the world’s biggest mHealth industry gathering and an organisation that is ‘exclusively focused on providing global leadership for the optimal use of information technology (IT) and management systems for the betterment of healthcare’). Perhaps it’s only when you have an focus/agenda on the “betterment of healthcare” that speaker selection procedures like this can happen and in 2013 I think it’s more common sense like this that the mHealth community needs to move forward.